Target corporate is a retailing company with its headquarters in Minneapolis, Minnesota. This company is a well-known discount retailer. Now the company operates through over hundred stores and superstores with a huge collection of general merchandise at attractive prices. The company utilizes the concept of urban store for opening multi-storied city centers at different locations. The company also owns many distribution centers, which supplies straight to target stores as well. There are food distribution centers that the company uses. What sets apart this company is its belief in offering up-to-date products at discounted prices, instead of offering cheap goods at lower prices. There are currently 4 consumer reviews about Target available. Share your review. I called the Pharmacy to get a price on a refill. The Pharmacy TECH, not the Pharmacist, told me I was taking two medications that were to the same thing. I told him that was aware of this, as was my doctor, and they each do something for me. This TECH told me he was going to call my doctor and talk to him. I told him NOT to do that, as he is NOT a Pharmacist and he is NOT entitled to take any action on my behalf. HE CALLED ANYWAY. I went to the Pharmacy and ripped the management a new ear. The TECH justified his actions to me, AND refused to apologize. The information this TECH had is covered by HIPPA. He is NOT legally allowed to do this, as it is MY business and my doctor's business alone. The TECH is a "floating" tech, and I am writing to Corporate to get this little snot removed for taking an illegal action. "...sometimes staff from Target headquarters do read the reviews on this website." Well, they had damned well better do something about the problems stated herein, because customer service is THE reason people shop where they do. Why bother having reviews available, if the store employees do not pay any attention and make corrections in their actions? I am outrage you would cancel Paula Deen I will do everything possible to make sure many more do not shop at Target. Many are outraged you would dismiss someone over a comment years ago, we have all made comments in our past we are not proud of etc. How dare you demonstrate such arrogance. I found prices were different in two different target stores in ONE state. I found polite helpful people at Framingham ,Ma target store. One hour later , after I drove 30 miles to Watertown, mA . TARGET STORE, I was informed they did not have to have same pricing as other target stores. I asked for manager , I did not get him or her Basically, Framingham was having outdoor cushions on sale clearance .AND watertown was not. I drove all the way to Watertown to get the rest of cushions I wanted. I will never step into the watertown store again.... They do not honor their own stores pricing never mind a competor..... poor CUSTUMER SERVICE .. 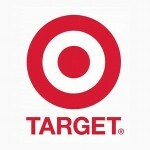 Please take a note that you are about to post a public review about Target corporate office on CorporateOffice.com. This review will be public, so please do not post any of your personal information on this website. If you would like to contact the corporate offices of Target, please use their contact information such as their phone number, website, and address listed above to contact them. However, sometimes staff from Target headquarters do read the reviews on this website.